The bad news is that more than 130 million school-age girls around the world are not in school. Despite the irrefutable evidence demonstrating the importance of girls’ education, millions of girls still do not have the opportunity to finish school. As a result, these girls – and their families and communities – are limited in their capacity to pursue their dreams and achieve their potential. Rise Up invests in girl leaders and their allies to ensure that girls can attend school. We enable girls in Latin America, Africa, and South Asia to raise their voices and stand up for their right to stay in school. Rise Up is part of a growing movement of organizations working to ensure girls’ access to education globally. One of our Rise Up girl leaders from Guatemala, Alejandra Teleguario, was recently interviewed by Michelle Obama in Refinery 29 to highlight the importance of girls’ education worldwide and Mrs. Obama’s interest in continuing her work with girls through the Obama Foundation. Their conversation is both insightful and inspiring. Last year, with training and support from Rise Up, 16-year-old Alejandra began to speak out against sexual violence and acoso callejero — or street harassment — in her community through local radio programs. In her interview with Michelle Obama, Alejandra shares her vision for the girls in her community. MO: What do you plan to do — or have you done — with your education? How will you champion and support others who are working to achieve an education? AS: I’ve seen too many girls drop out of school, not be allowed to go to school, or receive a poor quality of education. That’s why I’ve decided to become a teacher myself — an English teacher! Ever since I learned English, I’ve received many opportunities for personal development that I now want to use to serve my community. AS: Who are some of the women you admire the most and why? MO: I deeply admire the young women and girls I’ve met around the world who are fighting so hard to get an education. These girls are so bright and passionate. And they’re so hungry to learn. They get up before dawn, they spend hours harvesting crops, cooking for their families, and tending to their younger siblings. They walk for hours each day to get to school, often at great risk to their personal safety. Then they come home and work jobs as maids and in factories before they then study for hours late into the night. So many of these girls have such big plans for their lives; they dream of attending college, of becoming doctors, teachers, engineers, and entrepreneurs. I’m in awe of their courage and determination. They are my heroes! Around the world, Rise Up girl leaders and their allies are fighting for girls’ right to education. In Mexico, Rise Up Champions are advocating for government reforms to ensure that educational programs respond to the needs and priorities of girls. 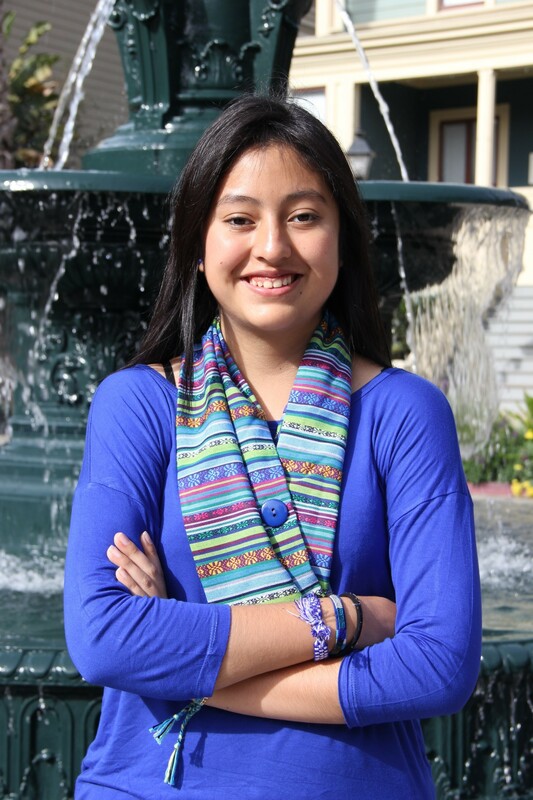 Esmeralda Ramos Rodriguez graduated from Rise Up’s 2017 Leadership Accelerator and received funding to support the work of her organization, Ciudadanos Empoderados en Movimiento, to advocate for educational reforms to address the widespread violence in Mexico. CEMAC is advocating for the integration of human rights curricula in all 36,000 elementary schools across the state of San Luis Potosi to teach children as early as 5th grade about their rights and to ultimately protect girls from violence. Rise Up girl leaders and their allies are making important strides to ensure that all girls can attend and finish school.